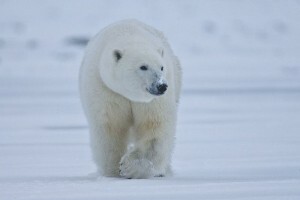 Home › Articles & Blogs › How far can a polar bear swim? Research in Kenya suggests cheetahs may be struggling to reproduce due to climate change. The revelation came after they discovered abnormal coils in their sperm which they believe is a result of higher temperatures. Another factor which may affect sperm health is their diet, cheetahs prey on Thompson’s gazelle because of the high levels of protein in the meat but sadly this species is also declining due to climate change. Sea turtles lay their eggs on sandy beaches but with sea levels rising this may become a problem for future generations. Sea turtles have the location of the beaches where they hatched imprinted in their memory; if these beaches vanish the turtles will no longer have any where to nest. Another problem that sea turtles face is the rise in temperatures. Being reptiles, sea turtles rely on the temperature of the sand to determine the gender of their offspring. Rises in nest temperatures may mean that more female turtles will be born than males. This could really threaten their genetic diversity. For krill, sea ice provides a sanctuary from predators during the winter and they also feed on the algae that bloom here. In some regions the sea ice is now retreating leaving krill open to predators such as whales and fisherman. In some places there has been up to an 80% reduction in krill numbers. 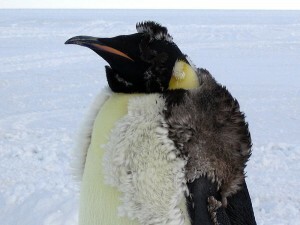 So many Antarctic animals, such as seals and whales, rely on krill as food source. The knock on effects could be detrimental. 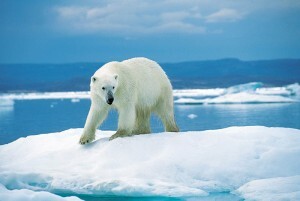 Polar bears also rely on the sea ice to hunt seals. It provides a stable platform out to sea where the seals live and breed. Without this platform it seems polar bears may have to swim further and further to reach their food from a barren arctic landscape. 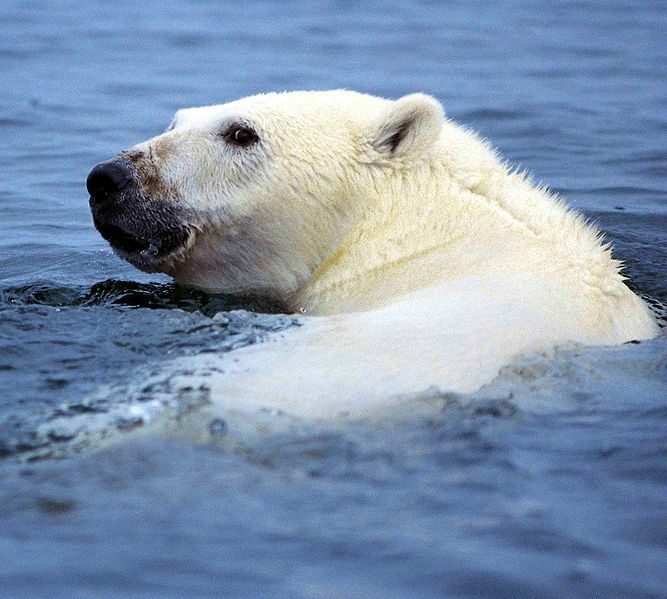 The only question is how far can a polar bear swim? It is shocking to think that these animals could really be hit so hard by a temperature rise of a few degrees but it shows just how intricate and fragile our natural world really is. Evolution is an amazing thing and perhaps one day people will look back on these studies to demonstrate just how astonishing it can be. For now though lets hope that nature can come up with a way to solve the problems we have created until we learn how to stop creating them.